Built for modern living, our smart intercom provides residents with features designed for safety and convenience. 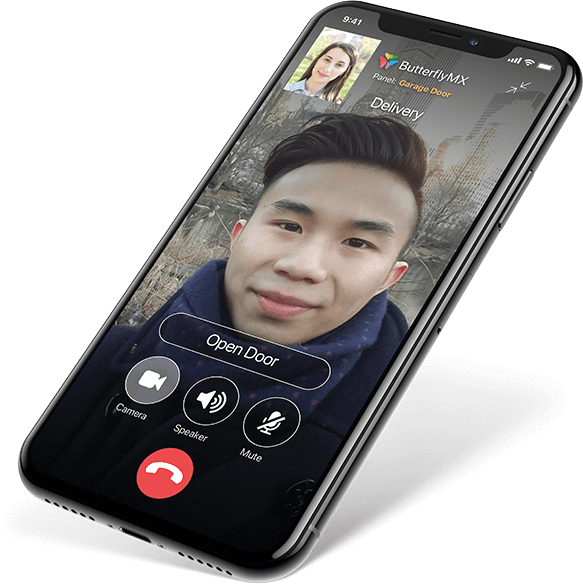 Use your smartphone to see who is at the building’s front door, initiate a voice or video chat with visitors, issue virtual keys for seamless guests access, and more. Open a door for yourself or a visitor with just a swipe. See who is at the front door before letting them into the building. Review all door releases with a time- and date-stamped photo from within the app. 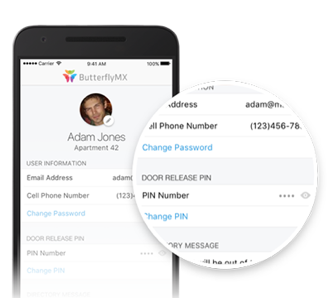 Virtual keys can be sent to visitors to allow managed access and can be revoked at any time. If a visitor is missed, they can leave a message that can be reviewed within the app. 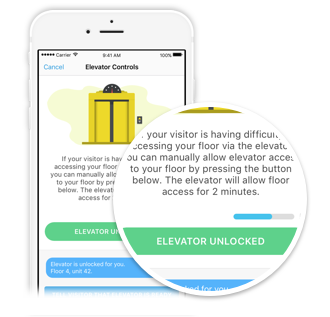 If your building is equipped with our elevator controls, key-fobbed elevators can be unlocked by both our intercom and our mobile app – creating a ‘sidewalk to sofa’ building entry experience for visitors and guests. If your building is equipped with our package room solution, couriers enter their delivery PIN to drop off a package. 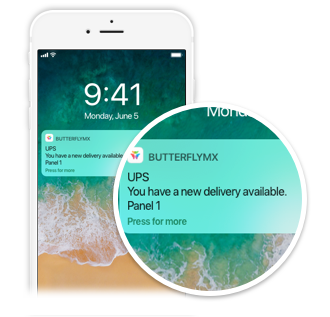 Once the delivery has been made, the tenant receives a notification to their smartphone that their package has been delivered. Residents without smartphones can still enjoy the beneﬁts of our system. They will simply receive a phone call to any number they would like. And virtual keys, delivery PINs, messages, and door release logs can be managed via their web account.